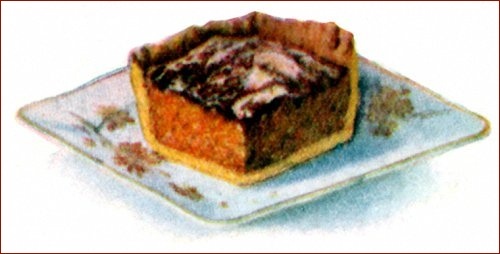 Grandma's easy Thanksgiving cake recipes make old fashioned cakes that will compliment your traditional Thanksgiving meal and provide an alternative for those who don't care for pie, although I find it hard to imagine that anyone wouldn't like a fresh piece of homemade pumpkin pie for dessert. Imagine easy, scratch-made harvest-time cakes with the all-natural, baked-in taste of nuts and fruit. You'll love the delicious taste, and so will your guests. Nothing beats the taste of these homemade cakes. You must try them! This unique carrot cake recipe could also be baked in tart shells, rather than cut into squares. It makes an attractive, tasty dessert for any occasion. Rub four good-sized, cooked carrots through a sieve, add two tablespoonfuls of ground almonds, three tablespoonfuls of sugar, the grated rind and strained juice of half a lemon, the well-beaten yolks of four eggs, three tablespoonfuls of melted butter, and the whites of the eggs beaten stiffly with a pinch of salt. Pour mixture into a small baking dish that has been lined with pastry. Bake in a hot oven until ready and serve hot or cold, cut in squares. Cream 1/3 cup shortening with 1 cup light-brown sugar; add 2 egg yolks, mix well and add 3/4 cup milk; sift together 1-1/2 cups flour, 1/2 teaspoon salt, 2 level teaspoons baking powder; add 1 cup finely chopped nuts, preferably pecans, and 1 teaspoon vanilla. Bake in greased loaf pan in moderate oven 35 minutes. 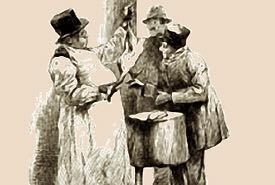 For this crumb cake take two cupfuls of flour, half a pound of breadcrumbs, one egg, a quarter of a pound of currants, half a cupful of sugar, a quarter of a pound of lard, one teaspoonful of baking powder, one teaspoonful of mixed spices, and some milk. Sift the flour, baking powder and spices into a bowl, rub in the lard, add the currents, sugar and breadcrumbs, then add the beaten egg and enough milk to make a nice dough. Put into a buttered tin and bake until a skewer will come out dry. 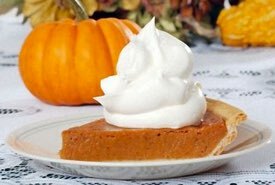 The pumpkin is traditionally identified with Thanksgiving Dinner, and this easy Thanksgiving cake recipe features the delicious flavor of pumpkin. With their rich-and-creamy cream cheese icing, these pumpkin bars will be a huge hit with family and friends of all ages. Serve them as a treat after a walk in the woods or as an evening snack. In a large mixing bowl beat together eggs, sugar, oil, and pumpkin. Combine the flour, cinnamon, baking powder, baking soda, and salt. Gradually add the combined dry ingredients to the pumpkin mixture and beat together well. Pour your mixture into a lightly buttered jellyroll pan and bake at 350°F for 25 minutes or until a toothpick comes out clean when inserted. Always test for doneness. Allow to cool before cutting into bars and adding the cream cheese icing. Beat together the cream cheese, sugar, butter, and vanilla extract. Add just enough milk to help get a nice spreading consistency. If desired, you can add a few drops of yellow or orange (combine drops of red and yellow) food coloring to make them appear more festive in the traditional Thanksgiving and Autumn colors. These traditional Thanksgiving cake recipes are so good that they were once used to make dessert cakes for serving at formal White House dinners. 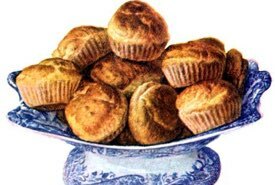 Two cups of fine white sugar creamed with half a cup of butter, three eggs, two-thirds of a cup of sweet milk, three cups of sifted flour, one heaping teaspoonful of baking powder sifted through the flour; a tablespoonful (level) of powdered mace, a coffee cup of hickory nut or walnut meats chopped a little. Fill the cake pans with a layer of the cake, then a layer of raisins upon that, then strew over these a handful of nuts, and so on until the pan is two-thirds full. Line the tins with well-buttered paper and bake in a steady, but not quick, oven. This is a most excellent Thanksgiving cake recipe. 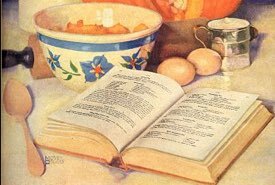 Once cupful of sugar and two tablespoonfuls of soft butter stirred together; add the yolks of two eggs well beaten, then add four tablespoonfuls of milk, some flavoring of choice, then the beaten whites of the eggs. Mix a teaspoonful of cream of tartar and half a teaspoonful of baking soda in a cup of flour, sift it into the cake batter and stir lightly. Bake in a small dripping pan. 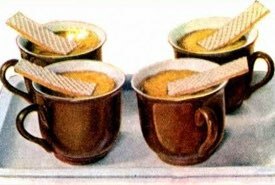 When the cake is cool, have ready half a pint of sweet cream sweetened and whipped to a stiff froth, also flavored. Spread it over the cake while fresh. To whip the cream easily, set it on ice or in the ice box before whipping. 1/2 cup shortening, 1/2 cup white sugar, 3/4 cup granulated oatmeal, 1/2 teaspoon salt, 1/2 cup milk, 1 teaspoon cream of tartar, 1/2 teaspoon baking soda, flour enough to roll. Put half in bottom of pan and cover with fig filling. Cover with other half as pie. Soak three cupfuls of dried apples overnight in cold water enough to swell them; chop them in the morning and put them on the fire with three cups of molasses; stew until almost soft; add a cupful of nice raisins (seedless, if possible) and stew a few moments; when cold, add three cupfuls of flour, one cupful of butter, three eggs, and a teaspoonful of baking soda; bake in a steady oven. This Thanksgiving cake recipe will make two good-sized panfuls of splendid cake; the apples will cook like citron and taste delicious. Raisins may be omitted; also, spices to taste may be added (for example, cinnamon and nutmeg). This is an inexpensive cake, yet it is delicious.